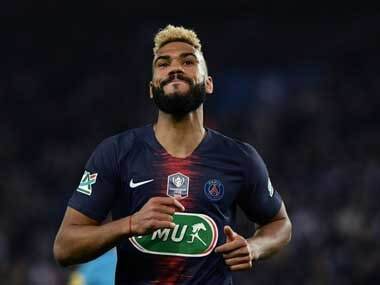 Paris: Paris Saint-Germain can clinch another Ligue 1 title on Sunday night by beating Strasbourg after nearest rivals Lille were held to a 1-1 draw at Reims. Jose Fonte's 56th-minute header had Lille on course to take all three points in Champagne country, but substitute Remi Oudin's 78th-minute leveller — initially ruled out for offside but then given after a VAR review — denied the visitors. Reims were also left furious at the referee's decision to ignore a handball in the box by Lille defender Adama Soumaoro in stoppage time as the home side appealed for a penalty. 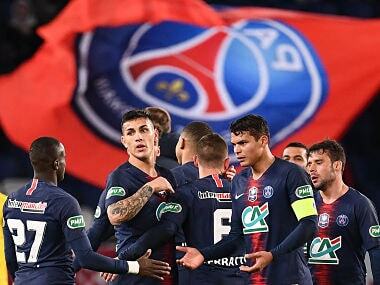 The result leaves second-placed Lille a massive 19 points adrift of PSG at the summit, and the capital club will therefore retain the title with eight games to spare if they see off League Cup winners Strasbourg at the Parc des Princes. 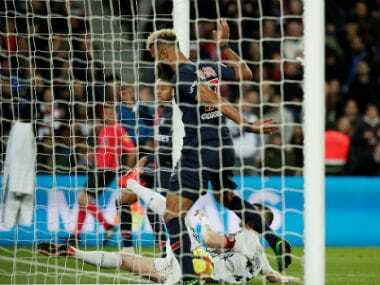 PSG are looking to be crowned champions for the eighth time in their history, and the sixth time in seven seasons. If Thomas Tuchel's side wrap it up on Sunday night, it will match the club record set in 2015/16, when Laurent Blanc's team also secured the title with eight matches to play. Lille, who host PSG next weekend, are more concerned with holding off the teams below them as they look to secure second place, which provides automatic qualification for next season's Champions League group stage. Fourth-placed Saint-Etienne remain 11 points behind Lille after drawing 2-2 at Amiens on Saturday, while Marseille, in fifth, were beaten 2-0 at Bordeaux on Friday. 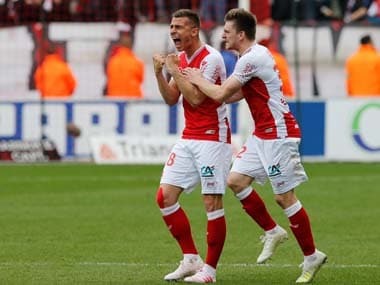 Reims are just a point behind OM in sixth place as last season's second-tier champions continue to enjoy an excellent campaign on their return to the elite.